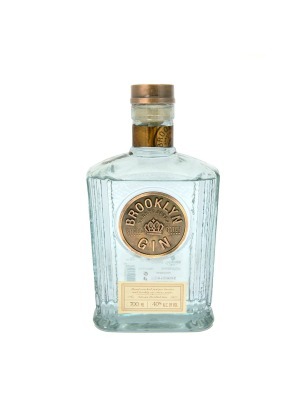 Brooklyn Gin is a popular Craft Gin available from 31dover.com in 70cl to buy online. Visit 31dover.com for the best price for 70cl of Brooklyn Gin or compare prices on our other Craft Gin products. Brooklyn Gin is a craft spirit made in New York with fresh citrus peels and hand-cracked juniper. Our gin is fresh, complex, and flavorful. It’s good enough to drink on its own and we’re proud of that. Other folks are noticing, too. We won a double gold medal at the 2015 New York World Wine & Spirits Competition, a gold medal at the 2015 San Francisco World Spirits Competition, a gold medal at the 2015 Craft Competition, and 91 points and a rating of “Excellent, Highly Recommended” at the 2015 Ultimate Spirits Challenge. Where to buy Brooklyn Gin ? Brooklyn Gin Supermarkets & Stockists. You can buy Brooklyn Gin online in most retailers and find it in the Craft Gin aisle in supermarkets but we found the best deals online for Brooklyn Gin in 31dover.com, TheDrinkShop, Amazon.co.uk, and others. Compare the current price of Brooklyn Gin in 70cl size in the table of offers below. Simply click on the button to order Brooklyn Gin online now.